Short-term campaigns versus building the beloved community: what are the real costs and benefits of pre-figurative politics? Credit: http://citizenmediamanchester.files.wordpress.com. All rights reserved. It is an old question in social movements: should we push for transformation within existing institutions, or should we model in our own lives a different set of political relationships that might someday form the basis of a new society? Over the past 50 years — and arguably going back much further — social movements in the United States have incorporated elements of each approach, sometimes in harmonious ways and other times with significant tension between different groups of activists. In the recent past, a clash between “strategic” and “pre-figurative” politics could be seen in the Occupy movement. While some participants pushed for concrete political reforms — greater regulation of Wall Street, bans on corporate money in politics, a tax on millionaires, or elimination of debt for students and underwater homeowners — other occupiers focused on the encampments themselves. They saw the liberated spaces in Zuccotti Park and beyond — with their open general assemblies and communities of mutual support — as the movement’s most important contribution to social change. These spaces, they believed, had the power foreshadow, or “prefigure,” a more radical and participatory democracy. Once an obscure term, pre-figurative politics is increasingly gaining currency, with many contemporary anarchists embracing as a core tenet the idea that, as a slogan from the Industrial Workers of the World put it, we must “build the new world in the shell of the old.” Because of this, it is useful to understand its history and dynamics. While pre-figurative politics has much to offer social movements, it also contains pitfalls. If the project of building alternative community totally eclipses attempts to communicate with the wider public and win broad support, it risks becoming a very limiting type of self-isolation. For those who wish to both live their values and impact the world as it now exists, the question is: How can we use the desire to “be the change” in the service of strategic action? Coined by political theorist Carl Boggs and popularized by sociologist Wini Breines, the term “prefigurative politics” emerged out of analysis of New Left movements in the United States. Rejecting both the Leninist cadre organization of the Old Left and conventional political parties, members of the New Left attempted to create activist communities that embodied the concept of participatory democracy, an idea famously championed in the 1962 Port Huron Statement of the Students for a Democratic Society, or SDS. In a 1980 essay, Breines argues that the central imperative of pre-figurative politics was to “create and sustain within the live practice of the movement, relationships and political forms that ‘prefigured’ and embodied the desired society.” Instead of waiting for revolution in the future, the New Left sought to experience it in the present through the movements it created. Current discussion of pre-figurative politics has been rooted in the experience of U.S. movements in the 1960s. However, the tension between waging campaigns to produce instrumental gains within the existing political system, on the one hand, and creating alternative institutions and communities that more immediately put radical values into practice, on the other, has existed for centuries. Unfortunately, there is no universal agreement on the vocabulary used to describe this split. Used as an umbrella category, the term pre-figurative politics is useful in highlighting a divide that has appeared in countless social movements throughout the world. In the 1800s, Marx debated utopian socialists about the need for revolutionary strategy that went beyond the formation of communes and model societies. Throughout his life, Gandhi wavered back and forth between leading campaigns of civil disobedience to exact concessions from state powers and advocating for a distinctive vision of self-reliant village life, through which he believed Indians could experience true independence and communal unity. Gandhi’s successors split on this issue, with Jawaharlal Nehru pursing the strategic control of state power and Vinoba Bhave taking up the prefigurative “constructive program.” Advocates of strategic nonviolence, who push for the calculated use of unarmed uprising, have counter-posed their efforts against long-standing lineages of “principled nonviolence” — represented by religious organizations that espouse a lifestyle of pacifism (such as the Mennonites) or groups that undertake symbolic acts of “bearing moral witness” (such as the Catholic Workers). With regard to the 1960s, Breines notes that the form of pre-figurative politics that emerged in the New Left was “hostile to bureaucracy, hierarchy and leadership, and it took form as a revulsion against large-scale centralized and inhuman institutions.” Perhaps even more than advancing traditional political demands, the pre-figurative concept of social change was about prompting a cultural shift. Indeed, those who embraced a most extreme version of pre-figurative practice in that period did not identify with the social movement “politicos” who organized rallies against the Vietnam War and were interested in directly challenging the system. Instead, they saw themselves as part of a youth counter-culture that was undermining establishment values and providing a vigorous, living example of an alternative. Yet pre-figurative impulses did not merely produce the flights of utopian fantasy seen at the counter-cultural fringes. This approach to politics also made some tremendously positive contributions to social movements. The drive to live out a vibrant and participatory democracy gave the New Left much of its vitality, and it produced groups of dedicated activists willing to make great sacrifices for the cause of social justice. As one example, within the Student Nonviolent Coordinating Committee, or SNCC, participants spoke of the desire to create the “beloved community” — a society that rejected bigotry and prejudice in all forms and instead embraced peace and brotherliness. This new world would be based on an “understanding, redeeming goodwill for all,” as Martin Luther King (an allied promoter of the concept) described it. This was not merely an external goal; rather, SNCC militants saw themselves as creating the beloved community within their organization — an interracial group which, in the words of one historian, “based itself on radical egalitarianism, mutual respect and unconditional support for every person’s unique gifts and contributions. Meetings lasted until everyone had their say, in the belief that every voice counted.” The strong ties fostered by this pre-figurative community encouraged participants to undertake bold and dangerous acts of civil disobedience — such as SNCC’s famous sit-ins at lunch counters in the segregated South. In this case, the aspiration to a beloved community both facilitated strategic action and had a significant impact on mainstream politics. The same pattern existed within the Clamshell Alliance, Abalone Alliance, and other radical anti-nuclear movements of the 1970s, which historian Barbara Epstein chronicles in her 1991 book, Political Protest and Cultural Revolution. Drawing from a lineage of Quaker nonviolence, these groups established an influential organizing tradition for direct action in the United States. They pioneered many of the techniques — such as affinity groups, spokes councils, and general assemblies — that became fixtures in the global justice movement of the late 1990s and early 2000s, and which were also important to Occupy Wall Street. Wini Breines defends pre-figurative politics as the lifeblood of the 1960s New Left and argues that, despite its failures to produce lasting organization, this movement represented a “brave and significant experiment” with lasting implications. At the same time, she distinguishes pre-figurative action from a different type of politics — strategic politics — that are “committed to building organization in order to achieve power so that structural changes in the political, economic and social orders might be achieved.” Breines further notes, “The unresolved tension, between the spontaneous grassroots social movement committed to participatory democracy, and the intention (necessitating organization) of achieving power or radical structural change in the United States , was a structuring theme” of the New Left. Tension between pre-figurative and strategic politics persists today for a simple reason: Although they are not always mutually exclusive, the two approaches have very distinct emphases and present sometimes contradictory notions of how activists should behave at any a given time. Where strategic politics favors the creation of organizations that can marshal collective resources and gain influence in conventional politics, pre-figurative groups lean toward the creation of liberated public spaces, community centers and alternative institutions — such as squats, co-ops and radical bookstores. Both strategic and pre-figurative strategies may involve direct action or civil disobedience. However, they approach such protest differently. Strategic practitioners tend to be very concerned with media strategy and how their demonstrations will be perceived by the wider public; they design their actions to sway public opinion. In contrast, pre-figurative activists are often indifferent, or even antagonistic, to the attitudes of the media and of mainstream society. They tend to emphasize the expressive qualities of protest — how actions express the values and beliefs of participants, rather than how they might impact a target. Strategic politics seeks to build pragmatic coalitions as a way of more effectively pushing forward demands around a given issue. During the course of a campaign, grassroots activists might reach out to more established unions, non-profit organizations or politicians in order to make common cause. Pre-figurative politics, however, is far more wary of joining forces with those coming from outside the distinctive culture a movement has created, especially if prospective allies are part of hierarchical organizations or have ties with established political parties. Countercultural clothing and distinctive appearance — whether it involves long hair, piercings, punk stylings, thrift-store clothing, keffiyehs or any number of other variations — helps pre-figurative communities create a sense of group cohesion. It reinforces the idea of an alternative culture that rejects conventional norms. Yet strategic politics looks at the issue of personal appearance very differently. Saul Alinsky, in his book Rules for Radicals, takes the strategic position when he argues, “If the real radical finds that having long hair sets up psychological barriers to communication and organization, he cuts his hair.” Some of the politicos of the New Left did just that in 1968, when Senator Eugene McCarthy entered the Democratic presidential primary as an anti-war challenger to Lyndon Johnson. Opting to “Get Clean for Gene,” they shaved beards, cut hair and sometimes donned suits in order to help the campaign reach out to middle-of-the-road voters. For those who wish to integrate strategic and pre-figurative approaches to social change, the task is to appreciate the strengths of pre-figurative communities while avoiding their weaknesses. 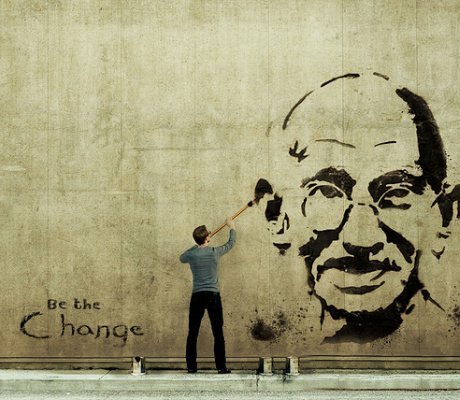 The impulse to “be the change we wish to see” has a strong moral appeal, and the strengths of pre-figurative action are significant. Alternative communities developed “within the shell of the old” create spaces that can support radicals who chose to live outside the norms of workaday society and to make deep commitments to a cause. When they do take part in wider campaigns to change the political and economic system, these individuals can serve as a dedicated core of participants for a movement. In the case of Occupy, those most invested in prefigurative community were the people who kept the encampments running. Even if they were not those most involved in planning strategic demonstrations that brought in new allies and drew larger crowds; they played a pivotal role. Another strength of pre-figurative politics is that it is attentive to the social and emotional needs of participants. It provides processes for individuals’ voices to be heard and creates networks of mutual support to sustain people in the here and now. Strategic politics often downplays these considerations, putting aside care for activists in order to focus on winning instrumental goals that will result in future improvements for society. Groups that incorporate pre-figurative elements in their organizing, and thus have a greater focus on group process, have often been superior at intensive consciousness-raising, as well as at addressing issues such as sexism and racism within movements themselves. The self-destructive isolation of the Weathermen is a far cry from SNCC’s beloved community. Yet the fact that both are examples of pre-figurative politics shows that the approach is not something that can simply be embraced or rejected wholesale by social movements. Rather, all movements operate on a spectrum in which different public activities and internal processes have both strategic and pre-figurative dimensions. The challenge for those who wish to produce social change is to balance the competing impulses of the two approaches in creative and effective ways — so that we might experience the power of a community that is committed to living in radical solidarity, as well as the joy of transforming the world around us. This article originally appeared on Waging Nonviolence, and is republished here with thanks. This article is the copyright of the author(s) and openDemocracy. Please contact us about republishing.